Willem Koekkoek was born in Amsterdam, where he lived and worked for the greater part of his life. 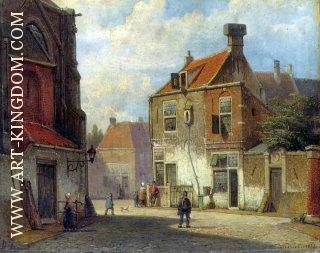 He died there in 1895. He was the son of Hermanus Koekkoek, the well known marine painter and, with his brother, Johannes Hermann Barend Koekkoek, he received lessons and encouragement from his father. 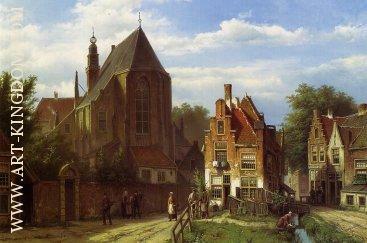 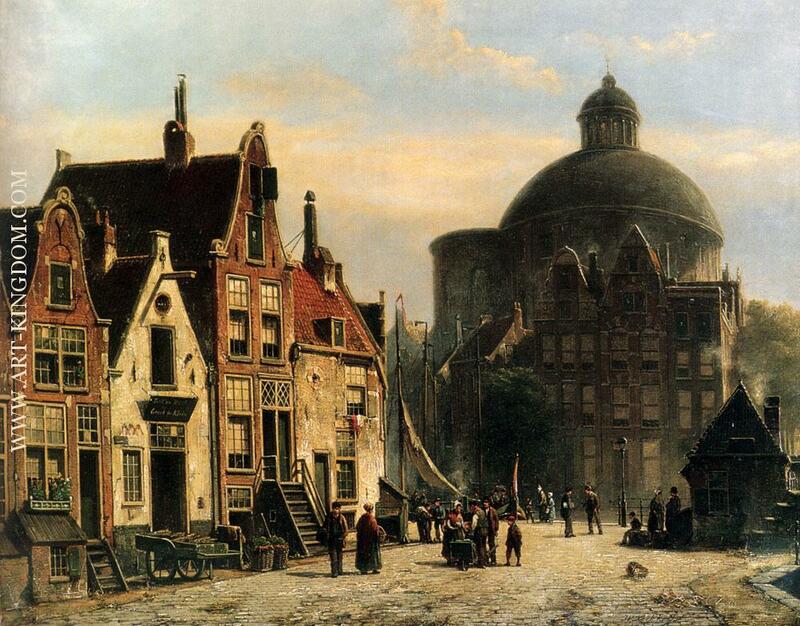 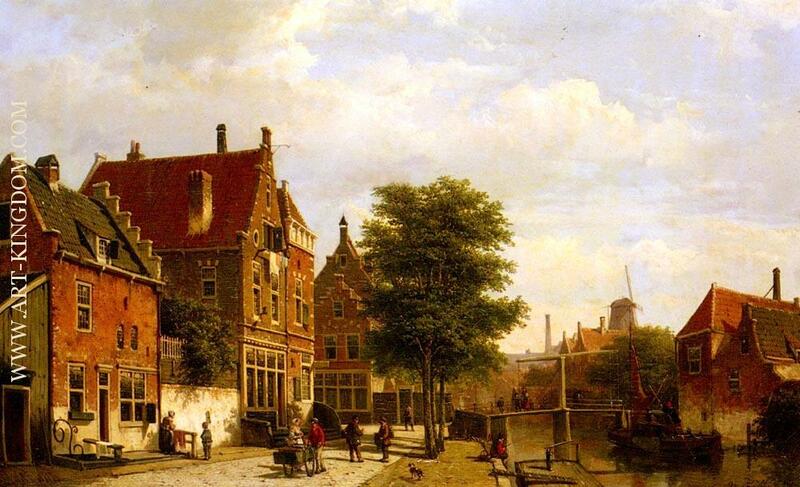 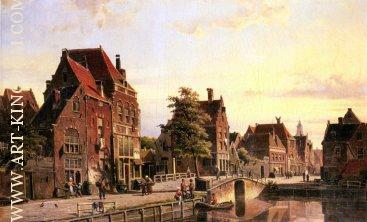 The Koekkoek family was highly regarded as an artistic dynasty in Amsterdam, spanning three generations. 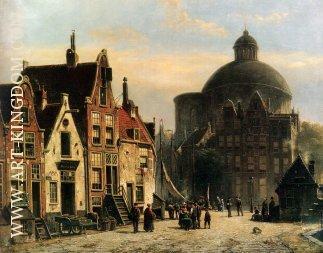 Willem Koekkoek originally worked as an architect and had tremendous success. 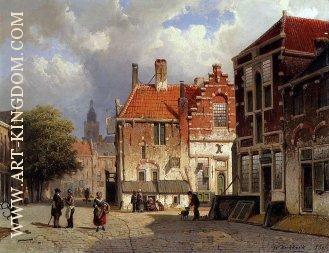 It was only when he moved to the Hague in 1878 that he took up the family tradition of painting. 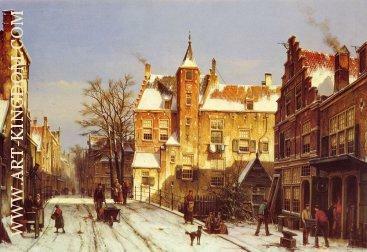 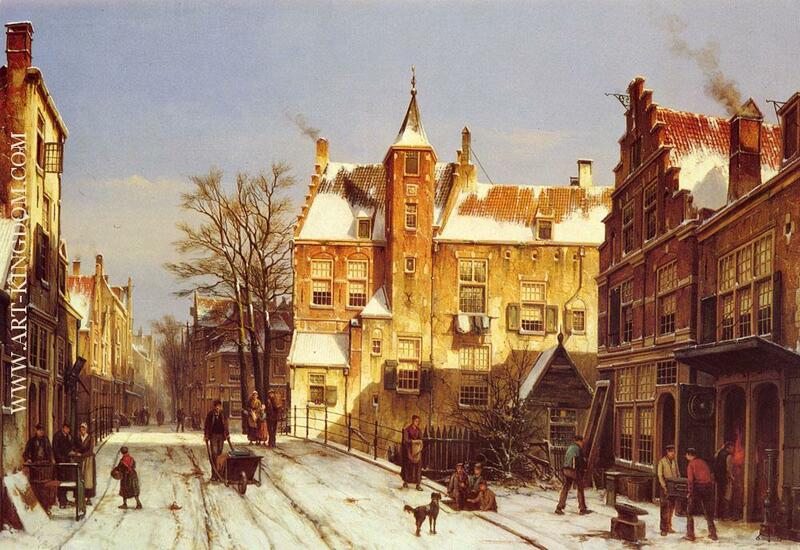 Willem Koekkoek is best known for his winter street scenes. 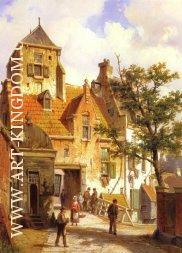 Although his architectural influences are evident he introduces figures and animals which show careful observation. 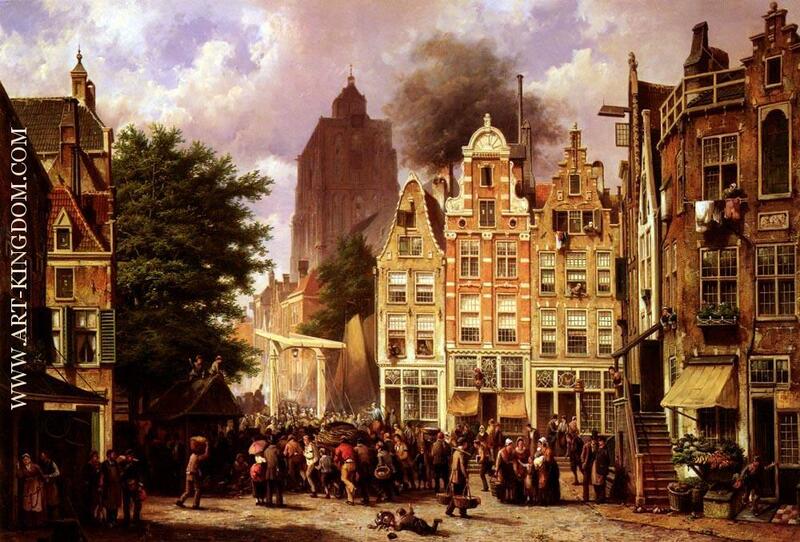 His favourite subject was his native Holland, particularly the depiction of those near to him. 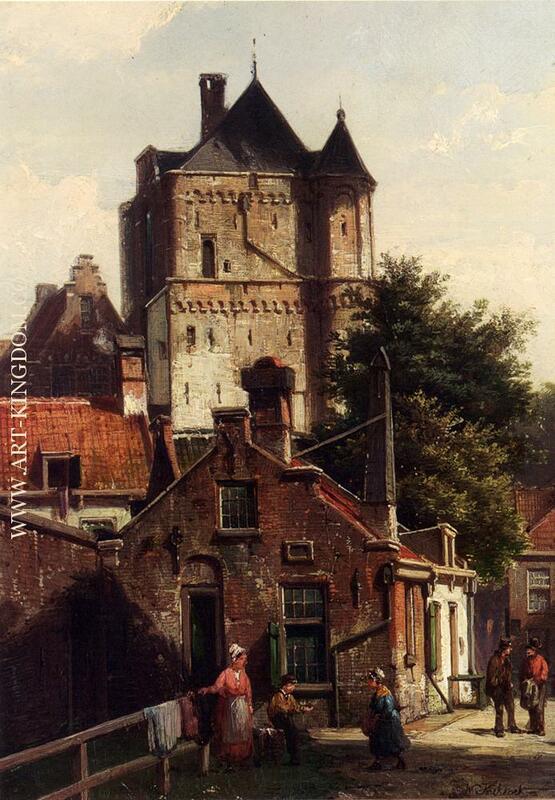 His style is distinctive and recognisably Dutch, but his handling of colour and shade is particularly individual - such as the use of strong green to highlight detail. 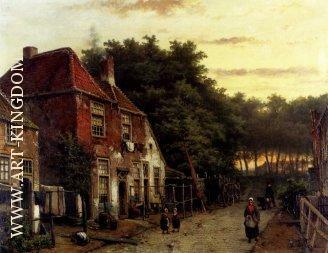 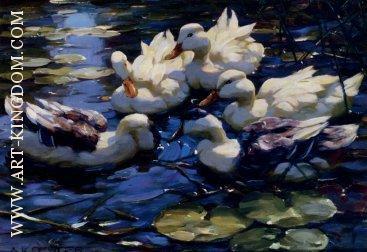 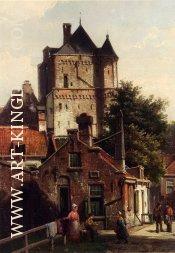 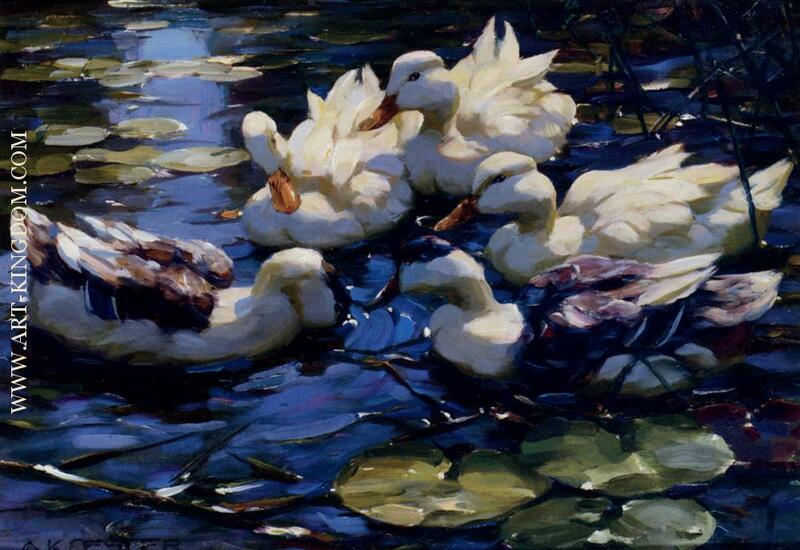 As in the tradition of the finest Dutch painters he is skilful in his manipulation of light and shade. 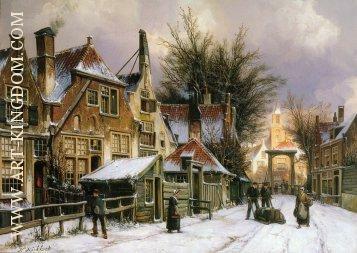 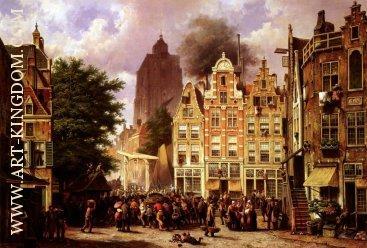 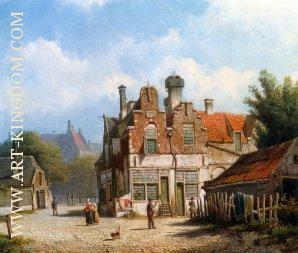 In 1880 he moved to Amsterdam then, in 1885 to Niewer-Amstel where he died on 29th January. 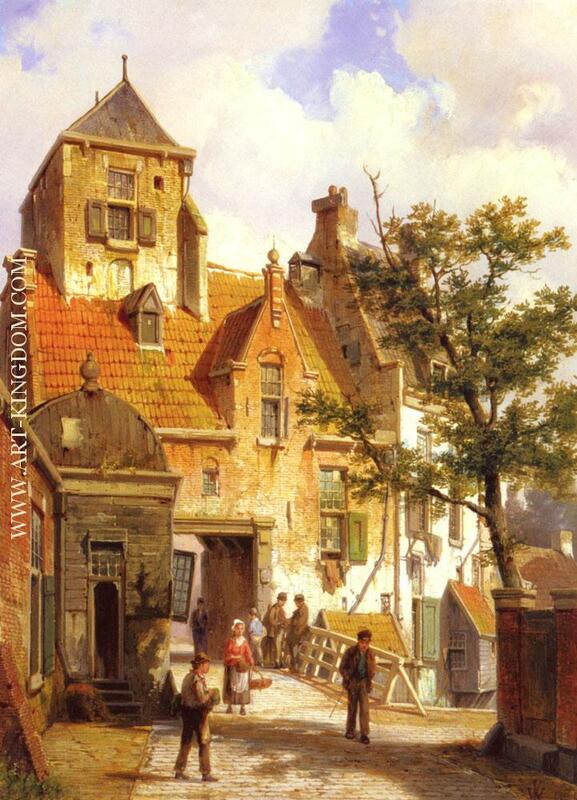 Willem Koekkoek's work flourished when he returned to his home town , Amsterdam, and it was here that he established himself as master of architectural painting. 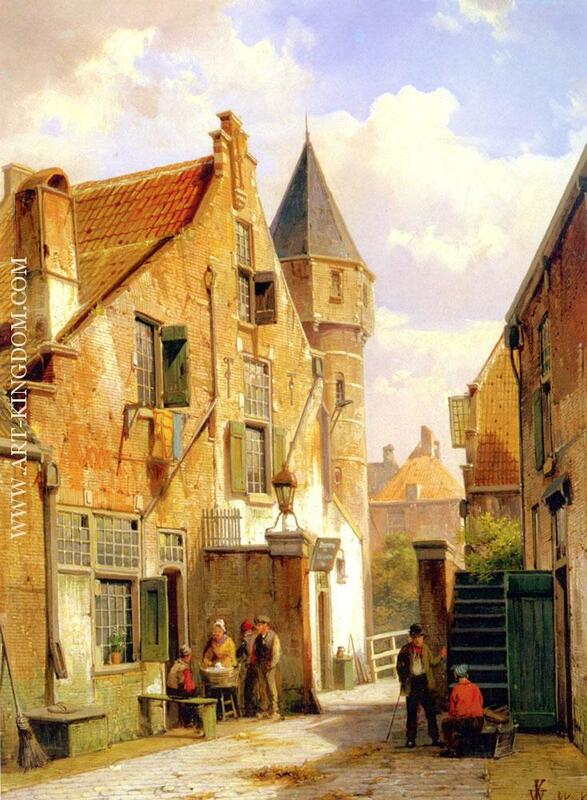 During his life Willem Koekkoek was widely collected in Great Britain which culminated in a visit to London in 1888.